VT5 20-Week Results are In! You are here: Home / Contest / VT5 20-Week Results are In! The 20-week VT5 competition ended a few weeks ago and we’ve got the results for you here today. Some people continued changing their shape getting even close to their VI numbers, while others proved that once you get there you can indeed maintain your 12-week change and turn it into a lifestyle for the long term. The judging for this round was taken as an overall change for the entire 20-weeks (separate of the 12 week change). So you might see some familiar faces but some different placings for those same people. With that said, everyone who stuck it out for 20 weeks is a winner regardless! Here are the 20-week transformation winners! Liss Graham starting 20 weeks ago on the right, 12 week transformation middle, 20 week on the right. 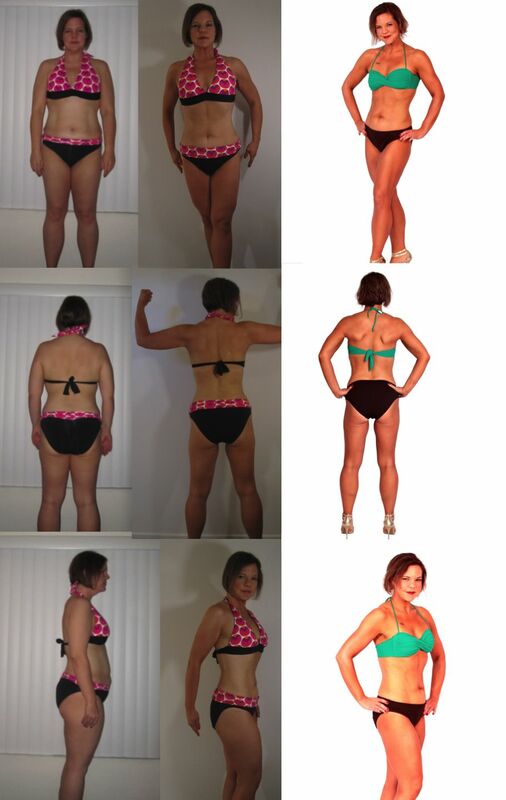 Jannette Joly 20 weeks ago left, 20 week transformation right. She actually made a 12 week transformation that we missed getting, but she’s stayed in Venus shape since then! Each of these women took on the challenge of transforming their body at the 12 week point and continued on to the 20 week mark. As you can see the Venus look is attainable in as little as 12 weeks and even more important it’s possible to maintain that look after you transform. Awesome job ladies. Looking beautiful, every single one of you. It takes a lot of work, a lot of effort, a lot of determination to do this. Your hard work has paid off. Looking quite beautiful. Congratulations to you all. Great work everyone. You all look gorgeous. You ladies look great!!! Awesome work!!! WOW, great results 😀 Everybody looks amazing. I’m interested in the VI but I want mroe muscles and not soft lines. You ladies that tried it, is that possible with VI?